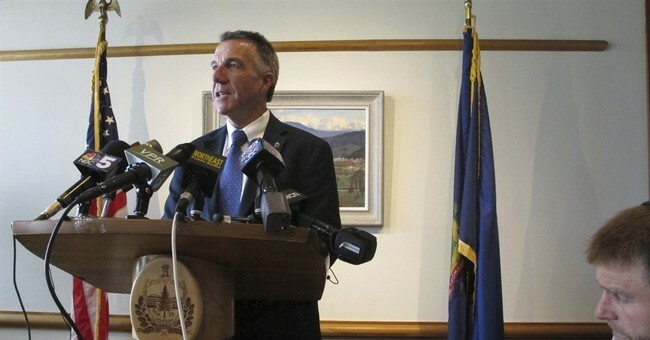 The measure now goes to Republican Governor Phil Scott, who has shifted his stance and voiced support for some gun controls after the arrest in February of a Vermont teenager accused of threatening to shoot up a high school. The incident came two days after a former student killed 17 people at Marjory Stoneman Douglas High School in Parkland, Florida, on Feb. 14. Scott’s support for gun controls marked a sharp switch for a governor with a 93 percent approval rating from the National Rifle Association (NRA) gun rights advocacy group in an otherwise politically liberal state with a reputation as a pro-gun stronghold. Vermont, a largely rural New England state with a passion for hunting, is one of two dozen states where efforts to curb gun violence have gained momentum since the Feb. 14 shooting rampage that killed 17 people at Marjory Stoneman Douglas High School in Parkland, Florida. The Vermont bill raises the age for gun purchases to 21 and expands background checks for private gun sales. It also bans magazines of more than 10 rounds for long guns and 15 rounds for pistols as well as rapid-fire devices known as bump stocks. First, like Florida, the 21-year age limit is grossly unconstitutional. Like Pennsylvania, Vermont is a hunting state. Also, it deprives law-abiding Americans from exercising their constitutional Second Amendment rights. While the 15-round limit doesn’t really impact handguns, buying rifles will be much harder. Magpul does make a 10-round magazine for AR-15 rifles and those already owned by Vermont gun owners will be grandfathered in, but will this really curb gun violence? Isn’t this just political window dressing, especially in a state where confronting gun violence isn’t a pressing issue? In response to this bill, Second Amendment supporters gave away over 1,000 30-round magazines outside the state capitol last month. Two separate bills design to further help prevent gun violence in Vermont were unanimously approved by the Vermont Legislature on Thursday and Gov. Phil Scott said he will sign them along with another more controversial piece of legislation. On Thursday, the Senate voted 30-0 for a law designed to make it easier for police to take firearms from people in dangerous situations, such as when a person is deemed suicidal. The House voted 133-0 in favor of a separate bill that makes it easier for police to remove firearms from people suspected in cases of domestic violence. Neither piece of legislation drew the ire of gun rights supporters in the way as the legislation passed last week that would raise the legal age for gun purchases, expand background checks for private gun sales and ban high-capacity magazines and rapid-fire devices known as bump stocks. They may get mocked on social media, but the gun control movement is scoring victories. In Deerfield, Illinois, residents are more or less banned from owning firearms. Law-abiding gun owners now can transfer them outside of the village limits, destroy their firearms, turn them over to the authorities, or move. The ten-round magazine limit provision attached to Deerfield’s definition of a so-called assault weapons places a lot of handguns in that category. It’s a gun ban. In Oregon, there’s a drive to get a ballot initiative through, which would enact a virtual gun ban in the state, and force current law-abiding AR-15 owners to also destroy, register, surrender, or transfer out of the state their firearms. Bank of America is freezing credit to makers of the rifle. Citigroup is also limiting access to cash to clients who sell firearms to those under the age of 21 and high capacity magazines. Keep packing sandbags, folks—the Second Amendment fight is back and as intense as ever.